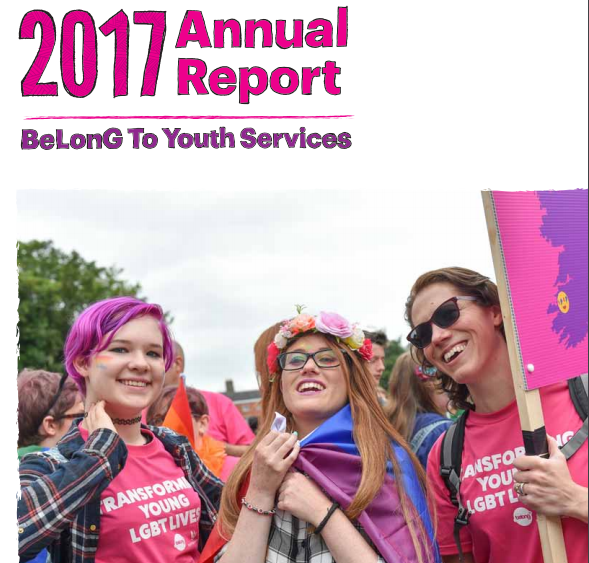 BeLonG To Youth Services, the national organisation for lesbian, gay, bisexual, transgender, and intersex (LGBTI+) young people, today launched their Annual Report 2017, and celebrated the organisation’s 15th birthday with Minister for Children and Youth Affairs Katherine Zappone TD. “15 years ago, Ireland was a different country for lesbian, gay, bisexual and transgender young people. Since we opened our doors in 2003, we have transformed what it means to be an LGBTI+ young person in Ireland by offering a safe space, advice, and life-saving support for young people, and by reducing stigma, isolation and fear of rejection through changing hearts and minds about sexual orientation and gender identity.